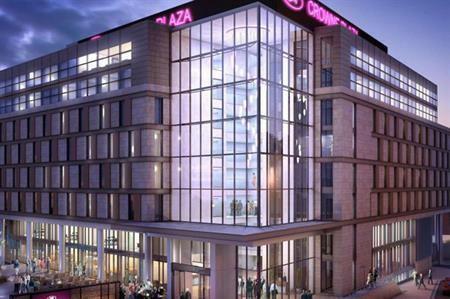 IHG's Crowne Plaza Newcastle - Stephenson Quarter hotel, will open in September, boasting 'the largest conference and banqueting space in central Newcastle'. The 251-bedroom hotel will be located at the Stephenson Quarter multiuse development in the city centre, close to the business district, shops and restaurants, as well as Newcastle Central Station. Crowne Plaza Newcastle will have nine adaptable meeting rooms that can hold between 12 and 400 delegates. The rooms will all have built-in screens, natural daylight and designated refreshment areas. Other facilities will include a swimming pool, steam room, fitness centre and a spa offering treatments. There will also be a restaurant and a gin bar on-site.